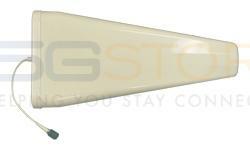 The Wilson 301111 Yagi Antenna is a single-band high gain antenna designed for the 700MHz or 824-960MHz frequency range. This directional 3G/4G/LTE antenna provides a boost to your cellular signal, and is helpful for those who live just beyond their provider’s optimal range. It can be mounted on a pole up to 2 inches in diameter or any flat surface, and delivers gain of up to 10.6 dBi. 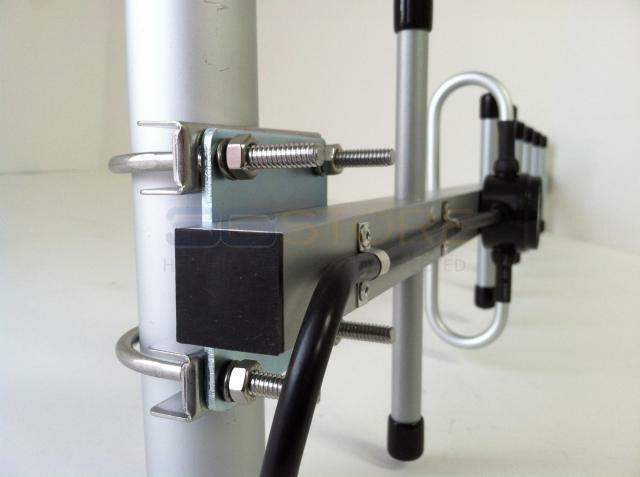 This yagi antenna is made for rugged environments, with a stainless steel back plate and UV-stabilized, weather resistant ABS plastic sealed housing. 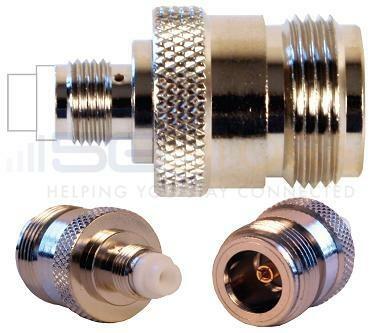 It comes with a pre-attached N/Female pigtail connector, and if you need them, we have various modem adapters and coax cables to fit your requirements. 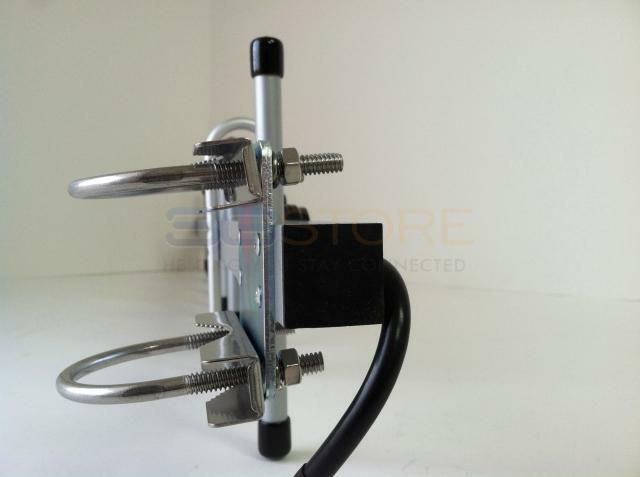 Although some testing will be needed for accurate aiming of this outdoor directional antenna, users with knowledge and patience will greatly benefit from an enhanced cellular signal. 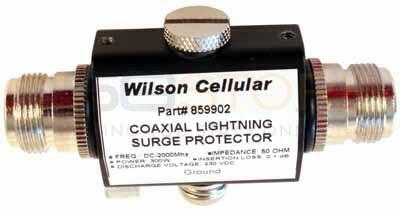 Wilson Electronics is North American’s premiere manufacturer of cell phone signal boosters. See our Wilson antenna reviews for more information from our customers. The Wilson 301111 yagi antenna is similar to the Wilson model 314411, but this one includes support for the 824-960MHz frequency range. 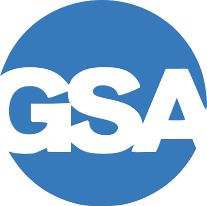 It is compatible with AT&T, Verizon, Sprint and other 2G/3G/4G/LTE providers in North America. 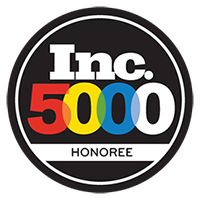 Compatibility: 700-960mhz networks - this antenna will ONLY work for users whose provider ONLY uses those frequency bands. Mounting Requirements: Mounting hardware is included to mount to a wall or to a pipe/pole (accommodates diameters from 1.25" - 2"). It must be aimed accurately at the cell tower to be effective. 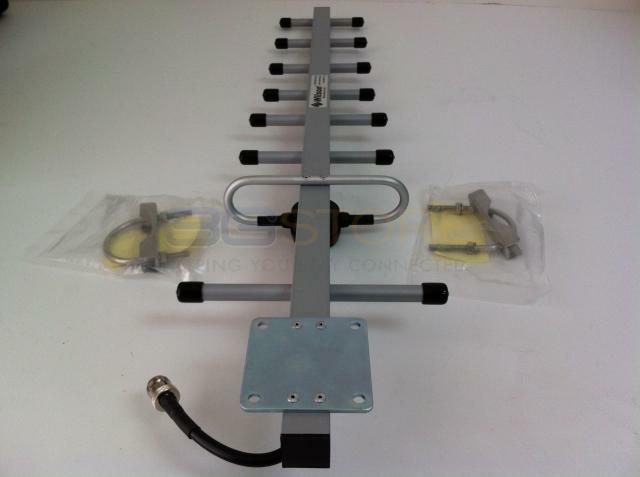 The main benefit of the this single-band Yagi antenna is its ability to focus its signal in one direction, which leads to greater gain. This antenna is designed for stationary/building use only - it is not appropriate for mobile or travel use. If this antenna is not aimed correctly, it will not be effective - we do NOT recommend this antenna unless you know where the tower is and/or have the patience to do extensive testing while installing. 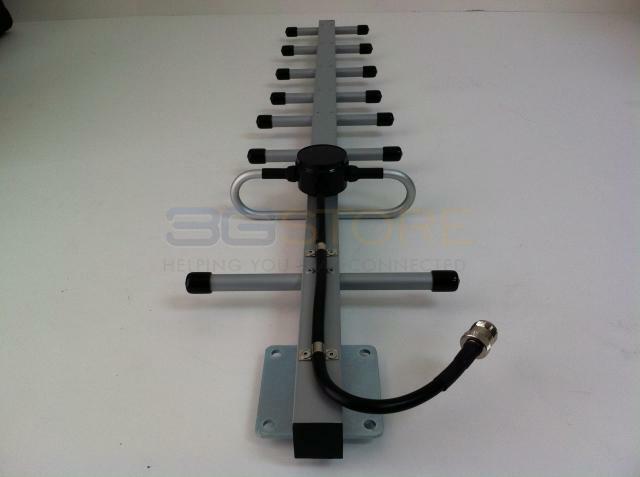 This antenna can be used indoors or outdoors and comes complete with all components needed for pole mounting or wall mounting (does not include the pole). The backplate is stainless steel with stainless steel fasteners. All bracket components are stainless steel as well for corrosion protection. The pigtail is 4" outdoor-rated cable terminated with an N/Female connector (coax cable sold separately; see menu on the top of this page). Pole-mounting hardware included, accommodates pipe diameters from 0.5" - 2"
We have two mounted on our roof in opposite polarity pointed at the nearest Verizon tower. It's connected to a Pepwave MAX BR1 through 50ft of LMR cabling. RSSI: -58dBm SNR: 20dB RSRP: -87dBm -- Works great. We love it. The only problem is you need to modify it to mount it in a different polarity. Nothing a rivet gun and a drill press couldn't handle. Strong, well built product that works as advertised. This antenna has been a life saver. I live in a rural area where my only internet connection is via Verizon. Fortunately the area has 4G coverage. Before installing the antenna on my UML290 modem, I was getting -73db signals, I am now getting -52db. Granted "before" had the modem at about 8 feet and "now" has the antenna at 23 feet. To minimize signal loss, I installed the modem inside a box attached to the mast so I could use the adapter cable to directly connect the antenna and modem. Actually, I installed a lightning arrestor between the antenna and the adapter cable. I connected the modem to my Cradlepoint MBR95 router with a 16 foot active USB extension cable; it works like a champ! I know I should have been able to use a regular cable for this distance, but when I tried it, I ran into a lot of flaky connections. All and all, this antenna is a winner! Antenna works good. Customer service was great. The antenna isnt all that great. The 3g store does a good job with the speed of deliverys though. As a company they did their job above expectations, the product is ok but not outstanding. Would be nice if it had both vertical and horizontal polarization mounting hardware included. IF you are on 800mhz then this is the ticket for remote locations. I am in a hilly, wooded sparsely popluated area of northern wisconsin. The antenna performs to spec and I am getting a solid 14db gain. The cables from 3GSTORE are great and reasonably priced. I was personally surprised that an antenna with cable that worked this well could be had for such a reasonable price. Without the antenna modem was spotty at best-- with the antenna I am getting about 1mbps down and 256kbps up on Verizon MiFi4510L. 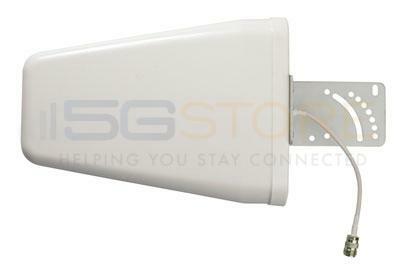 Before purchasing this antenna you should log into your modem and check to see what frequency it is operating on etc. In the MiFi you get an output that tells you the provider and band. Band Class Type: US Cellular (800MHz ) Note that my signal is -89dbm with Ec/Io of only 7 db. All in all an excellent piece of gear that gets you service where it wasn't possible before.